Below you fill find all funeral homes and cemeteries in or near Rockwall. Rockwall is also known as: Rockwall County / Rockwall city. Their current mayor is Mayor John Hohenshelt. Zip codes in the city: 75032, 75087. Rockwall County funeral flowers can be purchased from one of the local funeral shops we partner with. Some of the notable people born here have been: Marc Musso (actor), Travis Tedford (actor and voice actor), Jillian Johnston (actor), Allie Gonino (actor and singer), and Andy Tanner (american football player and athlete). 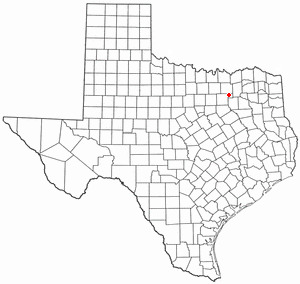 Rockwall is a city in Rockwall County, Texas, United States, and a suburb of Dallas and part of the Dallas/Fort Worth Metroplex. It is the county seat of Rockwall County, which is the third wealthiest county in the state of Texas. The population was 37,490 at the 2010 census. The name Rockwall is derived from a naturally jointed geological formation, which has the appearance of an artificial wall. It was noted on March 31st, 2018 that Beverly "Bev" Luedke died in Rockwall, Texas. Luedke was 81 years old and was born in Wahoo, NE. Send flowers to share your condolences and honor Beverly "Bev"'s life. It was disclosed by The News Tribune on March 1st, 2018 that Lonnie R Bird passed on in Lakewood, Washington. Bird was 83 years old and was born in Rockwall, TX. Send flowers to express your sorrow and honor Lonnie R's life. It was noted on January 28th, 2018 that Billy Gene Sykes died in Rockwall, Texas. Sykes was 85 years old. Send flowers to express your sympathy and honor Billy Gene's life. It was reported on January 15th, 2018 that Betty Joyce Peden passed on in Rockwall, Texas. Send flowers to express your sorrow and honor Betty Joyce's life. It was written by The Paris News on November 14th, 2017 that Leroy L Davis perished in Rockwall, Texas. Davis was 81 years old. Send flowers to express your sorrow and honor Leroy L's life. It was written on June 21st, 2017 that Pamela Joan Clark (Olson) passed away in Rockwall, Texas. Ms. Clark was 69 years old and was born in La Crosse, WI. Send flowers to express your sympathy and honor Pamela Joan's life. It was written on May 17th, 2017 that James E Jr Phelps passed on in Rockwall, Texas. Phelps was 85 years old and was born in Chicago, IL. Send flowers to express your sympathy and honor James E Jr's life. It was revealed by Texarkana Gazette on January 26th, 2017 that Richard David Anderson died in Rockwall, Texas. Anderson was 62 years old and was born in Guantanamo Bay, . Send flowers to share your condolences and honor Richard David's life. It was noted by Texarkana Gazette on January 26th, 2017 that Rita Gay Mims perished in Rockwall, Texas. Mims was 73 years old. Send flowers to express your sorrow and honor Rita Gay's life. It was written by Texarkana Gazette on January 10th, 2017 that Sammie Francis Mrs Baker died in Rockwall, Texas. Baker was 83 years old. Send flowers to share your condolences and honor Sammie Francis Mrs's life. It is part of the Dallas/Fort Worth Metroplex. The town was established April 17, 1854 and named after these rock walls. Creek people Indians moved to the area in early 1800s. While originally part of Kaufman County, in 1873, Rockwall County was formed with Rockwall being the county seat. The population was 17,976 at the 2000 census. The official website for the city of Rockwall is http://www.rockwall.com/. Find funeral directors & Funeral Directors in Rockwall, TX. Read business reviews, find driving directions, and more. funeral directors on YP.COM. Funerals in Rockwall, TX on Yahoo! Local Get Ratings & Reviews on Funerals with Photos, Maps, Driving Directions and more. We work with local florists and flower shops to offer same day delivery. You will find budget sympathy flowers in Rockwall here. Our funeral flowers are cheap in price but not in value.